After pressure from Open Rights Group supporters over the last week, the Government has just published its proposed changes to copyright law. The new laws will finally give us the right to parody and legalise personal copying of our digital media. We're also seeing important changes allowing non-commercial research to carry out text and data mining. The laws should come into force on 1st June but we're not done yet. MPs and Peers first have to approve them. Back in February 2011 we made an important submission to Professor Ian Hargreaves' Review of Intellectual Property. Professor Hargreaves then published recommendations on copyright that the Government accepted and were the basis of the changes that they published today. Despite promising to bring the changes in, the Government were very slow to make the reforms. In November last year ORG wrote to them urging them to get a move on. Lord Younger replied in December promising them in the New Year to come into force this April. But again, the reforms were slow in coming. So over the last week ORG supporters sent over 350 unique emails to Vince Cable and Lord Younger demanding that they publish the changes to copyright. The parody exception is fairly simple. The draft law itself is only two pages long! It says that using a work for the purposes of carcature, parody or pastiche does not infringe copyright in the work. It also makes clear that contracts can't be written to make using a work for parodic purposes an infringement of copyright. The personal copies exception is a bit more complicated. It will finally allow you to make back up copies of music, films or ebooks you have purchased or been gifted. That doesn't include computer programmes though. You can also convert your files to another file format or to play on a different device. And you can make personal copies of your files in the cloud. There are limitations on the copying. For example, you cannot pass these copies or the original files on to another person. And you can't make any commercial gains from making the copies either. The new legislation brings in restrictions on rightsholders or vendors imposing technical or contractual measures to stop you from making private copies. This is one area where we'll be looking for greater clarity on how to interpret the new law. If you want to sell the original work and have made any personal copies, they must first be deleted. In a verdict handed down today the Court of Justice of the European Union confirmed that EU ISPs can be required to block access to sites engaged in copyright infringement. 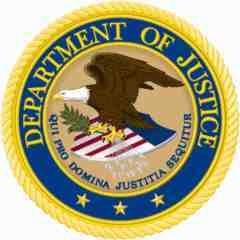 The decision follows the advice of the Advocate General in a case involving the now-defunct streaming site Kino.to. A notable case originating from Austria has been on hold pending a decision from the Court of Justice of the European Union. The dispute saw movie companies Constantin Film Verleih and Wega Filmproduktionsgesellschaft complain that local ISP UPC Telekabel Wien had been providing subscriber access to illegal streaming site Kino.to, a site now shuttered following police action. The movie companies previously obtained interim injunctions to have UPC block the site, despite UPC arguing that it couldn't be held responsible for a site that it had absolutely nothing to do with. UPC also noted that there was no court ruling indicating its customers had broken the law. To settle the matter the Austrian Supreme Court asked the Court of Justice to clarify whether a company that provides Internet access to those using an illegal website could be required to block that site. Now the Court of Justice handed down its long-awaited decision. The Court found that a person who makes copyrighted material available to the public without permission from rightsholders is using the services of the ISP of the people accessing that content. EU law does not require a specific relationship between the person infringing copyright and the intermediary against whom any injunction has been issued, the Court found. Addressing UPC's concerns that none of its customers had been deemed by a court to have acted unlawfully, the EU Court said that proof was not necessary as the law is in place not only to bring an end to infringement, but also to prevent it. The take-home from today's ruling, which follows last year's advice from the Advocate General, is clear: ISPs can be required to block access to infringing sites but any injunction must be balanced and proportional. 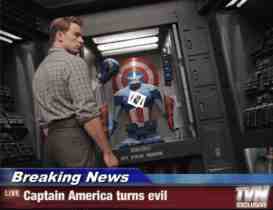 Captain America, Marvel Comics' World War II supersoldier, is the star of Sky Broadband's latest advert. And he's taking a break from fighting 1940s comic book bad guys to promote Sky's default Internet filters. The increase can be credited to a few copyright holders and industry groups such as the RIAA, who started an avalanche of takedown requests after the SOPA and PIPA bills died in Congress. General Counsel for Automattic, the company behind WordPress, has spoken about how the DMCA process is being manipulated to stifle freedom of expression. During a House Judiciary Subcommittee hearing on the limitations of copyright liability for online service providers, the blogging platform called for clear legal consequences for those who abuse the system. Speaking during a House Judiciary Subcommittee hearing on Section 512 of Title 17 , Automattic General Counsel Paul Sieminski spoke about his company's experiences with the notice and takedown provisions of the DMCA. Noting that the process works well overall, Sieminski said that shortcomings in the system negatively affect freedom of expression and adversly impact companies like Automattic. At Automattic, we've seen an increasing amount of abuse of the DMCA's takedown process. The DMCA's takedown process provides what can be an easy avenue for censorship: simply send in a DMCA notice claiming copyrights in a piece of content that you don't agree with. Regardless of whether you own the copyright, the service provider that hosts the content must take it down or risk being out of compliance with the DMCA. Sieminski went on to detail several cases where the DMCA had been abused to stifle speech, including one elaborate scam in which someone tried to undermine the work of science journalists by copying their work, backdating it, and claiming copyright in order to take down the original content. Although the journalists filed a counter-notice, it took the full 10 days mandated by the DMCA to get it put back online. Another case involved a UK-based journalist who reported on a freely-given press statement. The source of the press release changed his mind on having it published, claimed copyright, and had the journalist's work taken down under the DMCA. Concerned about submitting to the jurisdiction of a US court (those submitting a counter-notice are required to reveal their name and address and agree to be sued in federal court), the journalist chose to back down. His report remains censored to this day. As reported here on TF on many occasions, wrongful DMCA notices are sent on a daily basis, many the product of automated systems that lack the finesse to correctly identify infringement, much less consider fair use situations. Add these notices to the millions already being sent and they often go undetected, taken down by nervous service providers wary of becoming liable for the infringements of others. The DMCA system gives copyright holders a powerful and easy-to-use weapon: the unilateral right to issue a takedown notice that a website operator (like Automattic) must honor or risk legal liability. The system works so long as copyright owners use this power in good faith. But too often they don't, and there should be clear legal consequences for those who choose to abuse the system. I'd urge the Committee to add such penalties to the DMCA to deter and punish these types of abuses. VPN services are often advertised as tools to get uncensored access to the Internet, but this is not always the case. 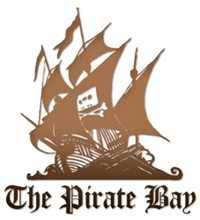 Ironically, many VPN providers ban BitTorrent traffic on U.S. and U.K. servers over piracy concerns. Based on a copyright claim that is dubious at best, the Ninth Circuit US Court of Appeals has ordered Google to take offline a video that is the center of public controversy. We can still talk about it, but we can't see what we are talking about. We're hard-pressed to think of a better example of copyright maximalism trumping free speech. 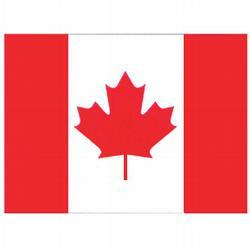 The case was brought by an actress, Cindy Lee Garcia, who was tricked into performing in a short anti-Islamic film (she was told the film was about something very different) and, as a result, found herself subject to death threats. Garcia then filed a lawsuit against Google and several others, claiming the video infringed her copyright in her performance (approximately 5 seconds of a 13 minute video). Then she asked the court to require Google to take the video down. The district court wisely refused, noting that Garcia's copyright interest was unclear at best. Garcia appealed, and today the Ninth Circuit agreed with her, and ordered Google to take down all copies of the video and take reasonable steps to prevent further uploads. The merits of this case are indeed doubtful. Very doubtful. Garcia is claiming a copyright interest in her brief performance, a novel theory and one that doesn't work well here. After all, Garcia herself admits she had no creative control over the movie, but simply performed the lines given to her. There may be a context where an actor could assert some species of authorship, but this doesn't seem to be one of them. Movie makers of all kinds should be worried indeed. There are other problems with the legal analysis, but the decision is equally if not more troubling for the signal it sends. Based on nothing more than a tenuous (at best) copyright claim, the court has ordered a service provider to censor a video that has been the subject of considerable debate and comment, with only the most cursory analysis of the speech harms it will cause. If Garcia had brought a claim under virtually any other theory, we expect the court would have taken more care. Unfortunately, it seems copyright exceptionalism has won the day. As expected, Google has quickly filed an emergency motion for a stay on the horrific 9th Circuit ruling that the company needed to take down all copies of the Innocence of Muslims film and block it from being re-uploaded anywhere. Google has made it clear that it will fight this decision, starting with asking the 9th Circuit for an en banc rehearing (ie a case heard by a large panel of judges). Appeals courts don't often grant requests for en banc hearings and, as such, often don't grant stays (basically holding off enforcing the order). However, with this case generating so much attention (and condemnation), hopefully enough of the judges in the 9th Circuit agree that it's worth rethinking Judge Kozinski's order. Google's motion lays out the basic argument, highlighting that the ruling simply invents new law and ignores precedents that the court is bound by. It also highlights how the ruling seems to get some rather basic issues flat out wrong. Furthermore, it highlights that there is real harm from the censorship imposed by the ruling, while leaving the video up for a little more time is unlikely to create any additional harm (if it ever created any harm in the first place). Google has been rebuffed in its effort to restore an anti-Muslim video on YouTube, shot down by a federal appeals court that on Friday rejected arguments that requiring the company to take it down will cause irreparable harm because of its impact on online free speech. In a brief order, the 9th U.S. Circuit Court of appeals denied a stay of a ruling earlier this week ordering Google to remove the Innocence of Muslims video from YouTube. The appeals court ordered YouTube to comply with the order within 24 hours, although Google lawyers already indicated in court papers they have already taken down the video. Under the (9th Circuit ruling), minor players in everything from Hollywood films to home videos can wrest control of those works from their creators, and service providers like YouTube will lack the ability to determine who has a valid copyright claim. Google has been denied two emergency stay motions against the decision by a divided three-judge panel. It vowed to continue resisting. We strongly disagree with this ruling and will fight it, a spokesperson said in an emailed statement. People who search for the video find a black screen with a short message from Google repeating its pledge to fight the decision. If the company fails to persuade the same judges to reverse their ruling its last resort will be the supreme court, which may choose not to hear the case. 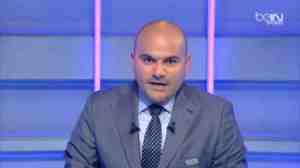 beIN SPORTS which shows EPL football is restricting the number of lives games it shows from England in the Middle East and North Africa due to piracy in the UK. This is a first I think - punish legit customers in the Middle East and North Africa due to piracy abroad! Shocking. City workers in Paris have been instructed to remove political messages from street art this week, including several paintings protesting against local anti-piracy law Hadopi . Among the targets were several creations by Finnish artist Sampsa, who painted dozens of anti-Hadopi statements across the city. 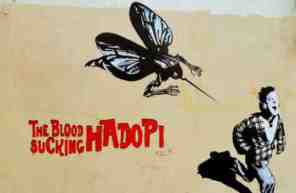 One of the works, which displayed the text The Blood Sucking Hadopi alongside a kid being chased by a giant mosquito. The city workers decided that the text went too far and removed it in its entirety. The rest of the mutilated painting remains in place, although its original message has been completely lost. The irony of the city's actions is that it has censored an artist who has spoken out against a law that is supposed to protect artists. Needless to say, the move was heavily criticized by many members of the public. TorrentFreak talked to Sampsa who is disappointed that his work was destroyed, but is also glad for the public support he's received. Creating street art is simply a tool for activism. I am glad people in France are upset about what happened in Butte aux Cailles -- it shows at least someone is paying attention to certain lines that shouldn't be crossed. Despite the setbacks Sampsa is not going to stop, on the contrary in fact. The French three-strikes law is about to be transformed into system where alleged file-sharers will receive automatic fines , something the artists is heavily protesting against. Does publishing a hyperlink to freely available content amount to an illegal communication to the public and therefore a breach of creator's copyrights under European law? After examining a case referred to it by Sweden's Court of Appeal, the Court of Justice of the European Union has ruled today that no, it does not. One of the key roles of the EU's Court of Justice is to examine and interpret EU legislation to ensure its uniform application across all of those member states. The Court is also called upon by national courts to clarify finer points of EU law to progress local cases with Europe-wide implications. One such case, referred to the CJEU by Sweden's Court of Appeal, is of particular interest to Internet users as it concerns the very mechanism that holds the web together. The dispute centers on a company called Retriever Sverige AB, an Internet-based subscription service that indexes links to articles that can be found elsewhere online for free. The problem came when Retriever published links to articles published on a newspaper's website that were written by Swedish journalists. The company felt that it did not have to compensate the journalists for simply linking to their articles, nor did it believe that embedding them within its site amounted to copyright infringement. The journalists, on the other hand, felt that by linking to their articles Retriever had communicated their works to the public without permission. In the belief they should be paid, the journalists took their case to the Stockholm District Court. They lost their case in 2010 and decided to take the case to appeal. From there the Svea Court of Appeal sought advice from the EU Court. The public targeted by the initial communication consisted of all potential visitors to the site concerned, since, given that access to the works on that site was not subject to any restrictive measures, all Internet users could therefore have free access to them. Therefore, since there is no new public, the authorization of the copyright holders is not required for a communication to the public such as that in the main proceedings. Where a clickable link makes it possible for users of the site on which that link appears to circumvent restrictions put in place by the site on which the protected work appears in order to restrict public access to that work to the latter site's subscribers only, and the link accordingly constitutes an intervention without which those users would not be able to access the works transmitted, all those users must be deemed to be a new public. So, in basic layman's terms, if content is already freely available after being legally published and isn't already subject to restrictions such as a subscription or pay wall, linking to or embedding that content does not communicate it to a new audience and is therefore not a breach of EU law. The Court of The Hague ruled that the blockade is disproportionate, ineffective, and hinders the Internet providers' entrepreneurial freedoms. Simply identifying the account holder associated with an IP address tells us very little about who actually downloaded 'Elf-Man' using that IP address. While it is possible that the subscriber is the one who participated in the BitTorrent swarm, it is also possible that a family member, guest, or freeloader engaged in the infringing conduct. As a result, the defendant's motion to dismiss was granted because the movie studio failed to state a claim for direct copyright infringement, contributory infringement and indirect infringement. The copyright holder is allowed to file an updated complaint, but doubts that the movie studio will be able to make a valid claim. The goal is to create a browser-like client to circumvent censorship, including domain blocking, domain confiscation, IP-blocking. This will be accomplished by sharing all of a site's indexed data as P2P downloadable packages, that are then browsed/rendered locally. It's basically a browser-like app that uses webkit to render pages, BitTorrent to download the content while storing everything locally. All further site updates are incremental, so people don't end up downloading the entire site day after day. The new software will be released as a standalone application as well as Firefox and Chrome plugins. Since the site data comes from other peers, there is no central IP-address that can be blocked by Internet providers. Site owners will still offer webseeds to speed up loading, but sites are fully accessible when these are blocked. Another important change is that the new software will not use standard domain names. Instead, it will use its own fake DNS system that will link the site's name to a unique and verified public key. The system will also establish a registry of website names with payment being via Bitcoin.